At the invitation of Premier Li Keqiang, Japanese Prime Minister Shinzo Abe is scheduled to pay an official visit to China from October 25-27. As the trip comes amid the escalating trade row between China and the US, it could be seen as an opportunity for China to strengthen economic and trade ties with another major economy so as to preserve its position in the global value chain. Politically speaking, the visit, the first such trip by a Japanese leader in seven years, didn't come up all of a sudden. As a return visit after Li's official trip to Japan in May, it has been in the preparatory stage for some time. Moreover, Abe was reelected as leader of Japan's ruling party last month, which put him in a position to serve as prime minister for a new three-year term. He needs to visit the country's major neighbors to set the tone for diplomatic relations for that period. Economic and trade cooperation will undoubtedly be one of the key topics on the agenda, which may probably involve topics such as cooperation on the Belt and Road initiative (BRI). When Li visited Japan in May, the nations signed the Memorandum on China-Japan Cooperation in the Third-Party Market. Even before the document was signed, the two countries had carried out BRI cooperation in some third-party markets. But with this basic framework agreement, China and Japan can step up cooperation and exploration in third-party markets under the BRI. Additionally, the two sides may discuss strengthening cooperation on Asian economic integration during the meeting, which will probably center around the China-Japan-South Korea free trade agreement and the Regional Comprehensive Economic Partnership (RCEP). Media reports have said that a substantial agreement would be reached on the RCEP within this year. Japan has already concluded the Comprehensive and Progressive Agreement for the Trans-Pacific Partnership, also known as TPP-11. It has signed a free trade agreement with the EU, which will see nearly all tariffs on goods trade being lifted. The country is also engaged in talks with the US on the Trade Agreement on Goods. If the RCEP is finalized in the near future, Japan will be in a good position in terms of the geopolitical economy, which will become the new focus of international economic cooperation. Japan's active pursuit of trade deals has a lot to do with its domestic problems. While there are signs that the Japanese economy is gradually recovering from its downturn, its demographics haven't improved much, and this still represents great uncertainties in the medium and long term. The nation's aging population will mean insufficient consumption, becoming the biggest restraint on economic development. For this reason, Japan needs new markets and labor to meet its need for economic growth, which is why the country is actively seeking trade deals with other major economies. The US market is actually limited and nearly saturated. In comparison, the potential of the Chinese market hasn't been fully developed, which is an obvious competitive advantage in industrial chain cooperation with Japan. For the sake of its global market share, it is understandable for Japan to attach great importance to the Chinese market and show a positive attitude toward economic cooperation with China. 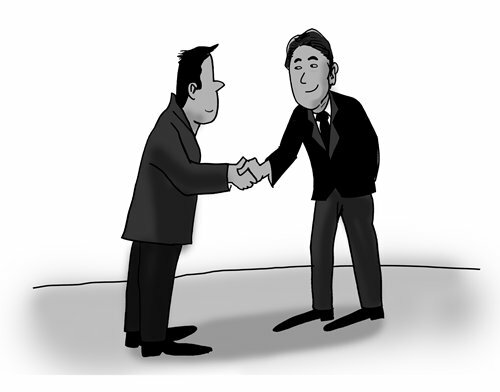 As regards strengthening industrial chain cooperation by China and Japan, a strategic consensus - especially political support and backing - is essential. The US intends to control the development of global value chains by helping its companies dominate in such fields as electronics and artificial intelligence. If it succeeds in doing so, China will be at a disadvantage in the long run. In this situation, strategic cooperation with Japan is an option for China. With Japan's relatively advanced technology, both parties could build new industrial chains on their own. With a consensus on such cooperation, research and development could be done in China or Japan, while the production plants could be located in third-party countries, creating a new global layout of the industrial chain. There are still many difficulties involved. A high degree of strategic cooperation willingness on the part of both governments is required, or the political risks will deter many companies. China-US trade is still growing faster than China-Japan trade, and Japanese companies have been less interested in investing in China in recent years. This could be mainly attributed to concerns over competition and intellectual property rights (IPR) protection. Japanese businesses have called for better IPR protection in China over the years, and they have expressed hopes that high-level exchanges could bring about improvement. Overall, the needs of China and Japan are complementary. If they can achieve a strategic consensus on markets and technology, there is still much scope for industrial chain cooperation.